I’m a little under the weather this week, so this tutorial is going to be quick. I’m just going to go over a slip stitch, and you should be all set to start the cowl pattern next week! 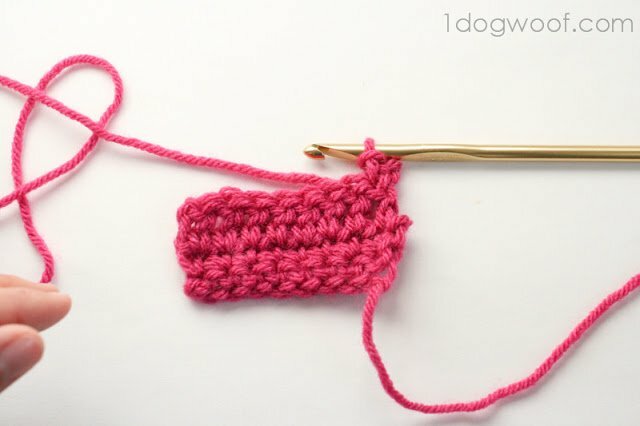 A slip stitch is very simple, and has almost no height to it. 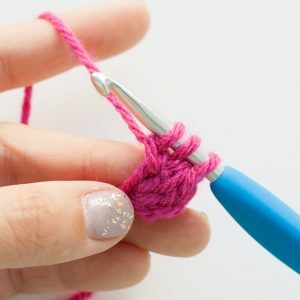 It’s mainly used to connect two stitches together, especially when you work in a round. However, a whole project with nothing but slip stitches does create a unique pattern, if you’re patient (crazy) enough to work and work and work and make very little progress! Insert your hook through your work. Bring the yarn over the hook, and draw the yarn through the work. You should have two loops on your hook right now. So far, this is the same as the single crochet. Except now, draw the first loop through the second loop. 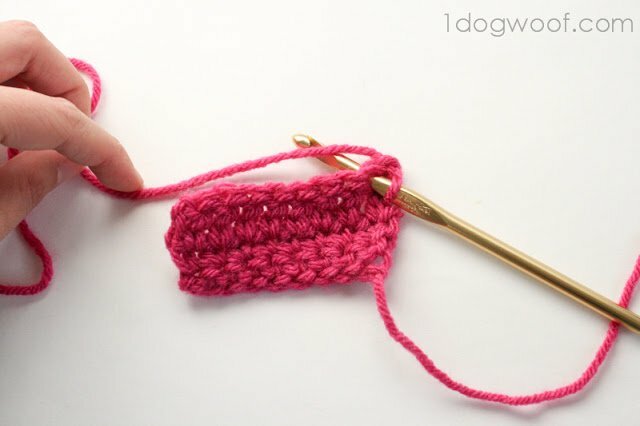 Another way of explaining it, is when you bring the yarn over the hook in Step 2, draw that yarn through both the worked piece and the loop on your hook in one motion. Boom, a slip stitch complete! Sometimes, you’ll be asked to slip stitch through a chain. 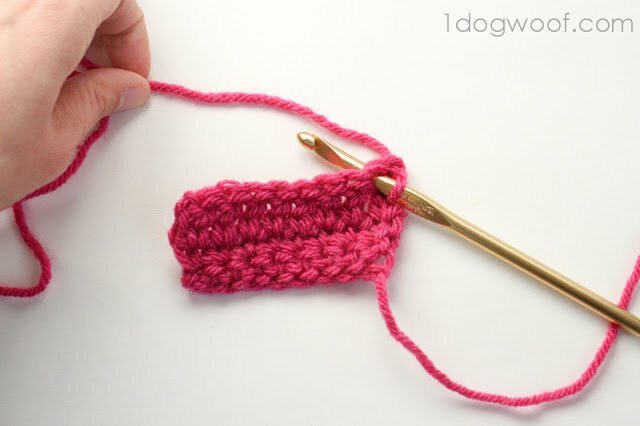 The concept is the same, insert your hook through the chain stitch, yarn over, and draw the yarn through the chain and the loop on the hook together. Yay for short tutorials and early bedtimes! 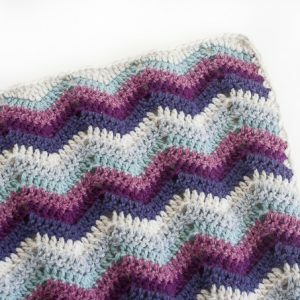 Tomorrow, we have our first guest poster, and she’s got a great tutorial to share! I am loving your pre-CAL tutorials. It is a great refresher for me! Looking forward to starting the CAL; thanks for all the great tutorials. I hope you feel better soon. I’ve recently become disabled and all the empty time was driving me bonkers. Now, thanks to your tutorials, I have some thing to do to pass the time. And to keep my fingers woring. God Bless you, kiddo.